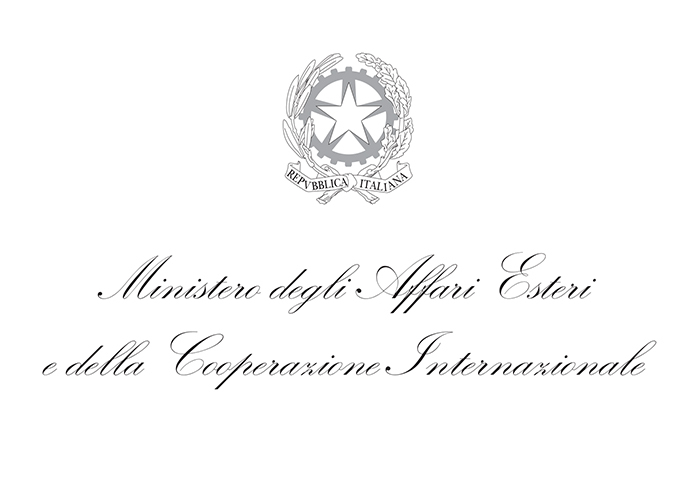 The BIOCOPACPlus project has been funded under LIFE+ Environment Policy and Governance project application. 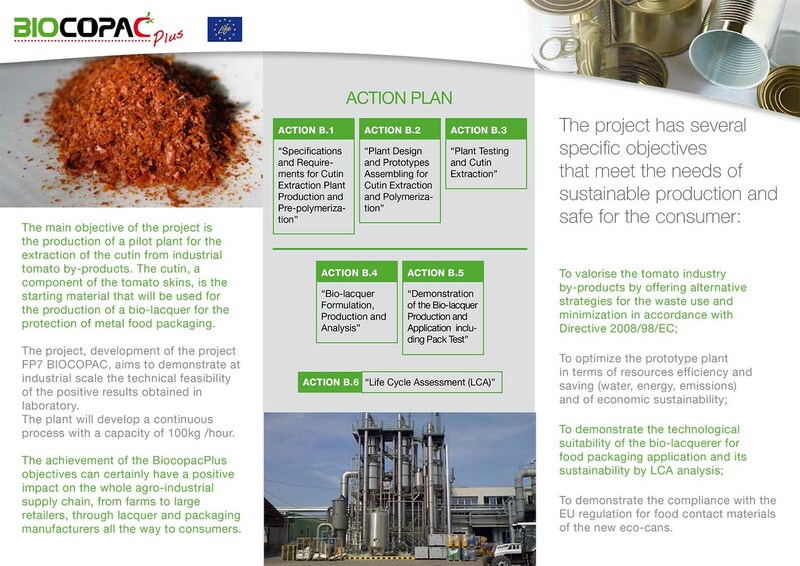 The project goal is to prove and demonstrate the viability of an innovative technology for the production of a bio-lacquer obtained from the re-use of the tomato waste and to be used as coating for food contact applications in metal cans. 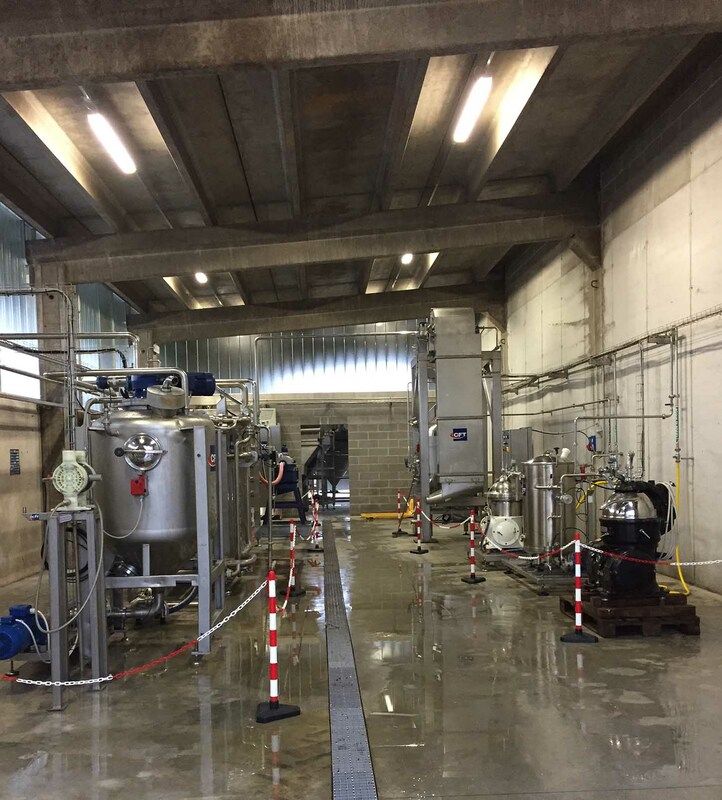 The project is industry driven and focused on demonstration activities aimed to prove the technical feasibility and effectiveness of the cutin extraction and production systems currently developed at laboratory scale. 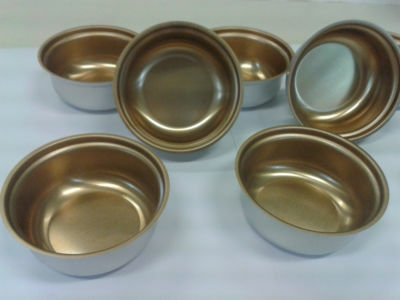 The increasing worldwide demand for good quality and safer food products and the increasing societal concerns over food contaminants migration and health related drawbacks are a focus central subject topic in the food industry agenda. 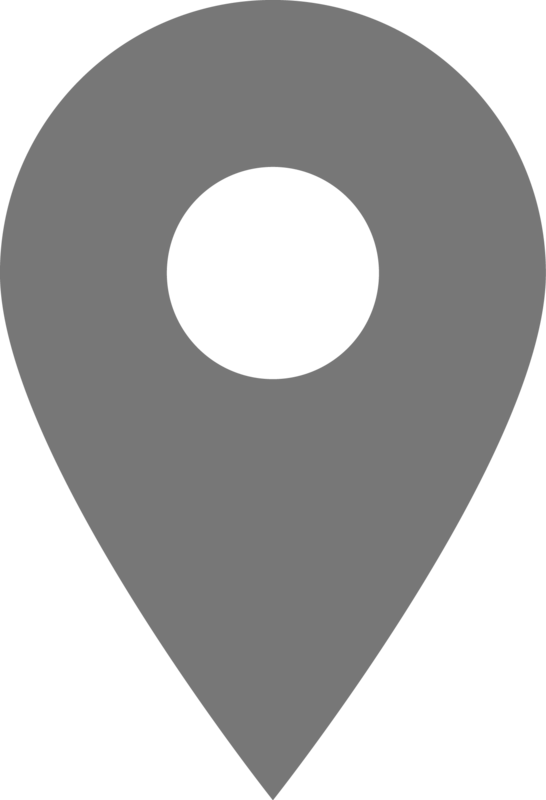 In response to pressure from consumers and to new, widespread sensitivity and awareness, the development strategies of the packaging sector can be summed up in food safety, sustainability and valorization of by-products. 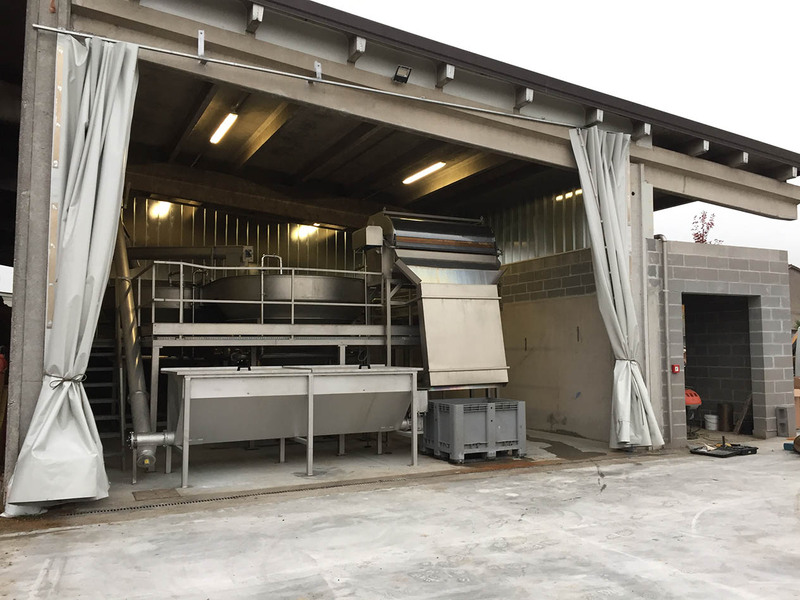 The production of a pilot plant for the extraction of the cutin from industrial tomato by-products, the cutin will be used for the production of a bio-lacquer for the protection of metal food packaging. Managing Director of Salchi Metalcoat S.r.l. 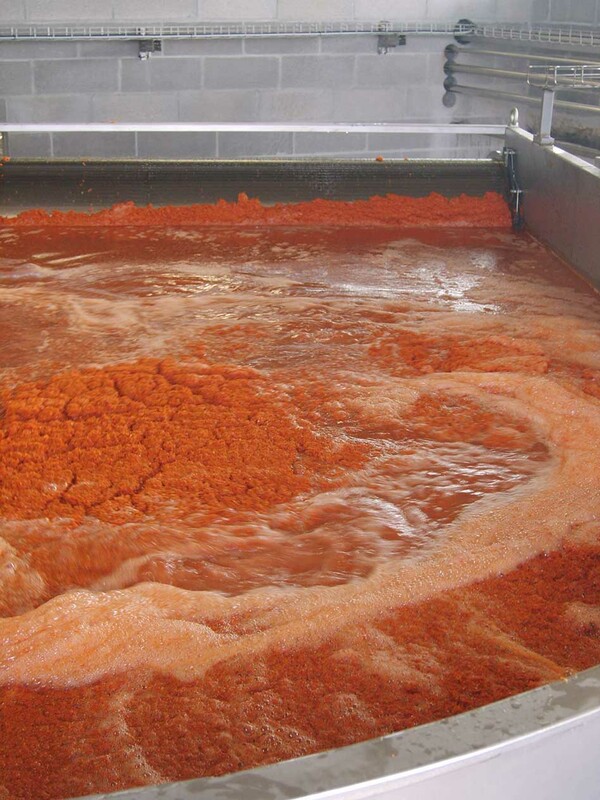 The use of the eco-friendly lacquer of BiocopacPlus, obtained from processing tomato waste, will reduce the carbon footprint and achieve greater resource efficiency by substituting oil-based lacquers and increasing the use of secondary raw materials. 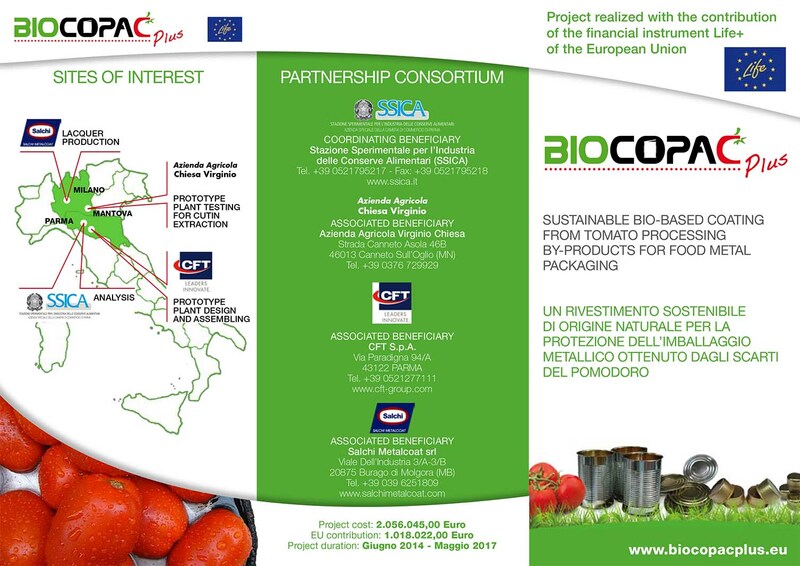 BIOCOPACPlus involves SSICA, Cft, Azienda Agricola Virginio Chiesa and Salchi Metalcoat. The optimization on the pilot plant of the cutin extraction method is crucial for a new raw material with a cost similar to the oil-based resin currently used for the coating of cans. Other improvements determined by the project are the following: a more easily recyclable container, a sustainable packaging solution, an economic valorization of agro-industrial waste and a “BPA free” packaging solution so to guarantee a food safety to the consumers. For these reasons the use of a bio-lacquer could have a positive impact on the whole agro-industrial supply chain, from farms to large retailers, through lacquer and packaging manufacturers all the way to consumers. Many developing countries have an increasing local production of fresh tomato production, but in the same time they import a lot of processed tomato products. A support for the development of a local production of tomato processing in developing Countries is necessary for a greater self-sufficiency and a reduction of post-harvest losses. Thanks to BiocopacPlus, tomato farmers and industries could benefit from the valorization of their own processing wastes with a consequent reduction in disposal costs, besides their being able to take advantage of the project at the final stage for the use of more ecological packaging for their product.